Every Friday, Pacific Union will take a look at what’s new and notable in the Bay Area neighborhoods that constitute our neck of the woods. Here’s what we’ve got for the week ending March 9, 2012. 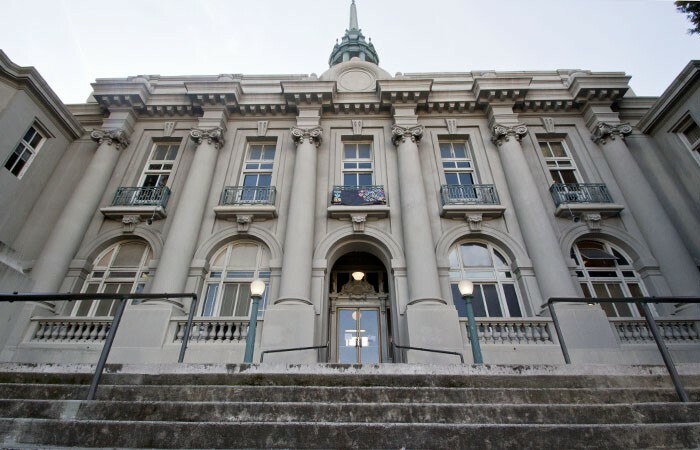 Berkeley’s Old City Hall stands on shaky ground. Currently used for Berkeley City Council meetings and Berkeley Unified School District offices, the historic building is seismically unsafe. Renovations could run somewhere in the range of $40 million to $50 million dollars. While budget deficits threaten closure of a number of state parks, Jack London State Historic Park is just a step away from being spared. A bill passed last fall allows nonprofits and other agencies to take over management of parks in this position, and the fate of Jack London State Historic Park is down to the final contract approval by the Department of General Services. Is your bowling game ready? Lucky Strike opens lanes in San Francisco today! The LA-based company found a partner with local draw in San Francisco Giants closer Brian Wilson. We hope the bearded one saves his strikes for the mound! This week California tax officials released information noting the state’s highest median income derives from Marin County here in the Bay Area. Marin is reportedly a consistent frontrunner in this regard.